What does Brexit mean for business insolvency risks? Few people would have confidently predicted a firm majority victory for the Leave campaign in June 23rd’s EU Referendum, commonly referred to as Brexit. Yet as the first results began to come in – with the exception of Gibraltar, which understandably voted almost unanimously to Remain – the gap between the two camps steadily widened and it became apparent quite early on that Leave stood a strong chance of winning overall. The immediate outcome of this was severe, with sterling and the stock markets slumping in a pronounced manner, although the currency rallied over the course of Friday. It’s worth noting that the high of $1.50 immediately before the results were announced was not representative of the long-term trend – and nor did the lowest ebb last for long. But many companies in a wide range of sectors will be concerned about the risk of business insolvency, especially if you trade with customers, partners or suppliers in the rest of the EU. The currency fluctuations are the immediate threat, as nothing changes in legislative terms until at least two years after Article 50 is enacted, and David Cameron has said this will not happen until after he steps down, which could be in October. 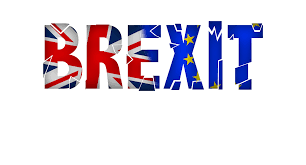 As a result, it could be 27 months before there is any tangible change in legislation, import and export rules, tariffs and taxes, and so on – and even those will be hammered out in negotiations to ensure a mutually acceptable deal for the UK and the remainder EU. Until then, the message is to conduct business as usual, with perhaps a rather more risk-averse approach to currency, interest rates and inflation, as well as long-term import and export prospects. If you have immediate concerns about business insolvency, please contact us to discuss them, and we can help you to determine the best way to proceed in light of the EU Referendum result and general economic conditions.